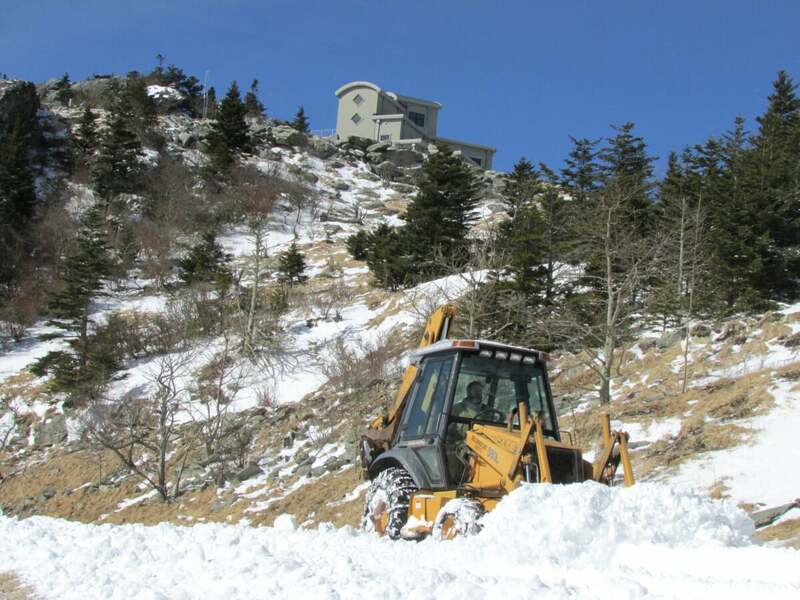 February was the snowiest month of the winter so far at Grandfather Mountain, which recorded more than 13 inches during the mid-month storms. Staff at the Entrance Gate in Linville measured 10 inches of snow Feb. 13, coupled with another two inches on Feb. 15 and yet another inch the following day. Snow totals were similar at the Nature Museum halfway up the Mountain, where 13.6 inches of snow were recorded throughout the month. In addition to the snow, the Entrance Gate recorded 4.11 inches of liquid precipitation, while the Nature Museum recorded 3.63 inches of liquid precipitation. While the Top Shop Visitor Center at the peak of the Mountain also witnessed snowfall, data was unable to be gathered many days due to the harsh weather conditions that forced the top to close. Grandfather Mountain's recorded snowfall for the winter to date (since Oct. 1, 2013) is 20.9 inches at the Entrance Gate, 23.1 inches at the Nature Museum and 4.38 inches at the Top Shop. February also was an extremely windy month; a peak wind speed of 81.3 mph was recorded on Feb. 13 and Feb. 15. Twelve of the 28 days charted winds above 60 mph. The automatic weather station at the top of Grandfather Mountain recorded an average high temperature for February of 36.9 degrees and an average low temperature of 21.9 degrees. Those averages were nearly identical to Mount Mitchell State Park, according to data from the State Climate Office. Unlike frigid January, February did not hold any sub-zero temperatures; the lowest temperature recorded was 10 degrees on Feb. 15. The highest temperature recorded was 54 degrees. For more information on Grandfather Mountain's weather data or to view current conditions, visit www.grandfather.com. 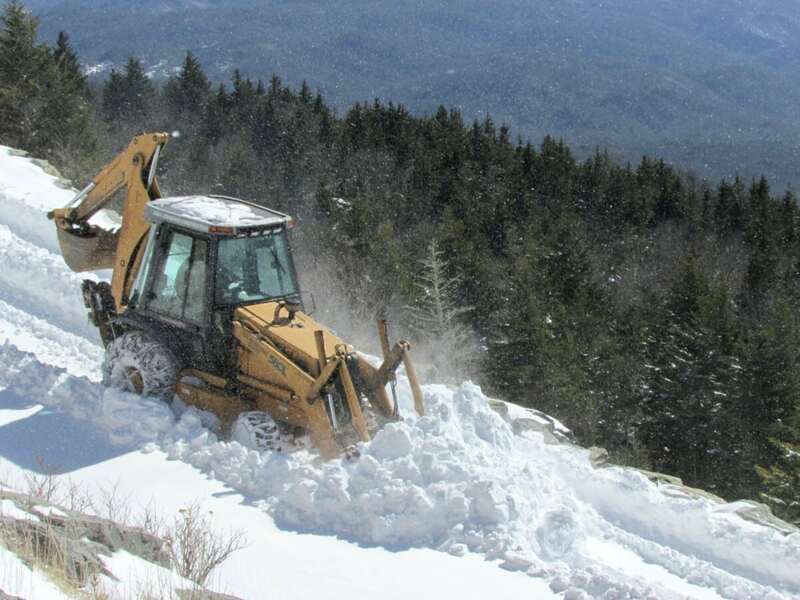 A backhoe clears deep drifts from the Grandfather Mountain summit road on Feb. 13 after the Mountain received about 10 inches of snow. Photos: Kellen Short | Grandfather Mountain Stewardship Foundation.